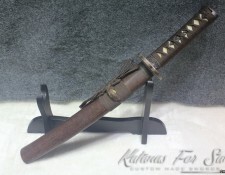 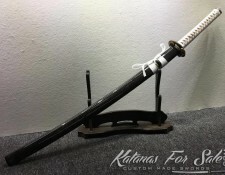 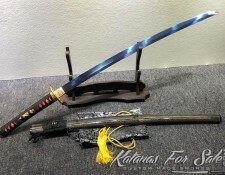 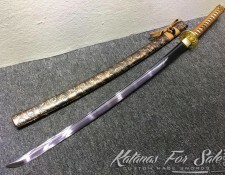 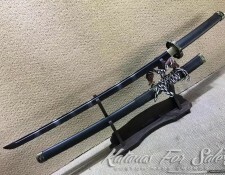 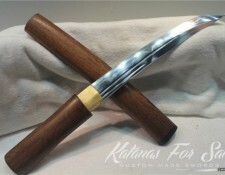 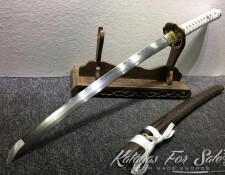 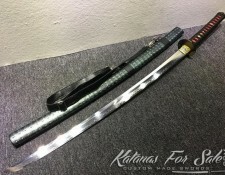 Categories: 1060 High Carbon Steel, Nodachi For Sale. 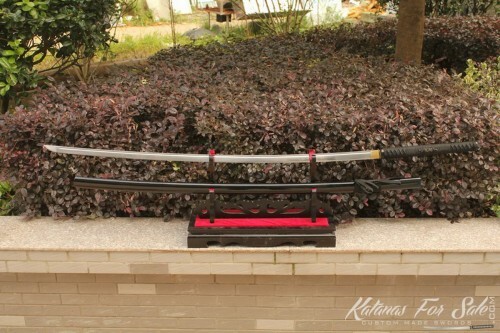 This is the massive hand forged Nodachi sword, or “field sword”. 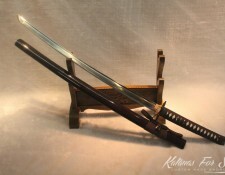 The sword was carried by foot soldiers as a counter measure against cavalry attacks. 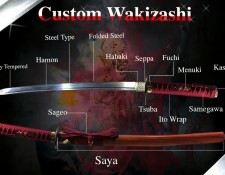 The massive blade would be wielded by two men to cut the legs out from under charging attacks. 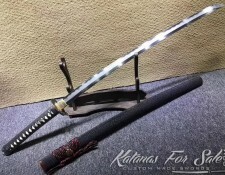 However, by a skilled and powerful warrior the sword could be used by a single man and had the potential to cut both horse and man apart in a single stroke. 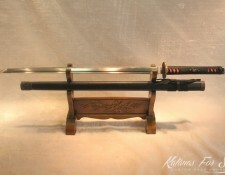 During times of peace the sword would be carried by high ranking Samurai as a sign of status. Due to its length the sword would be carried on the Samurai’s back. 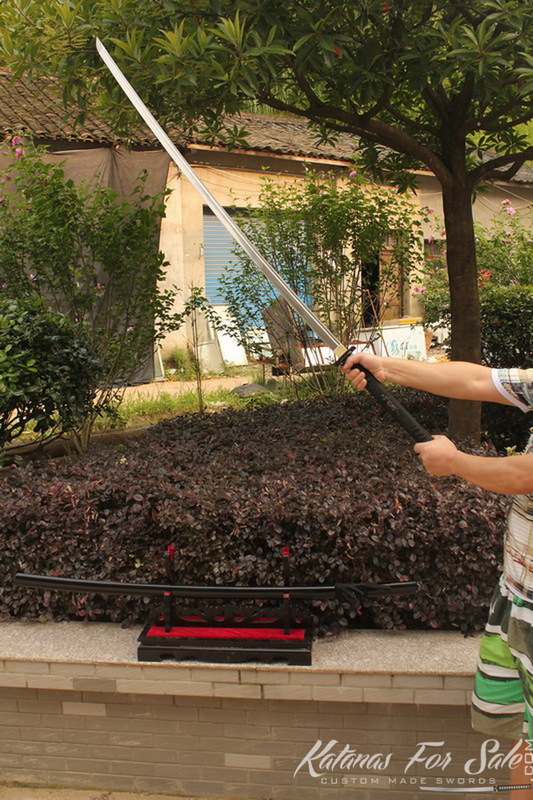 Although this sword was slow, in the correct hands the sword was unstoppable. 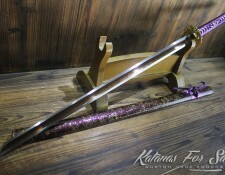 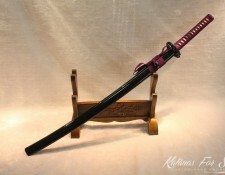 The sword has been made from 1060 Carbon Steel. 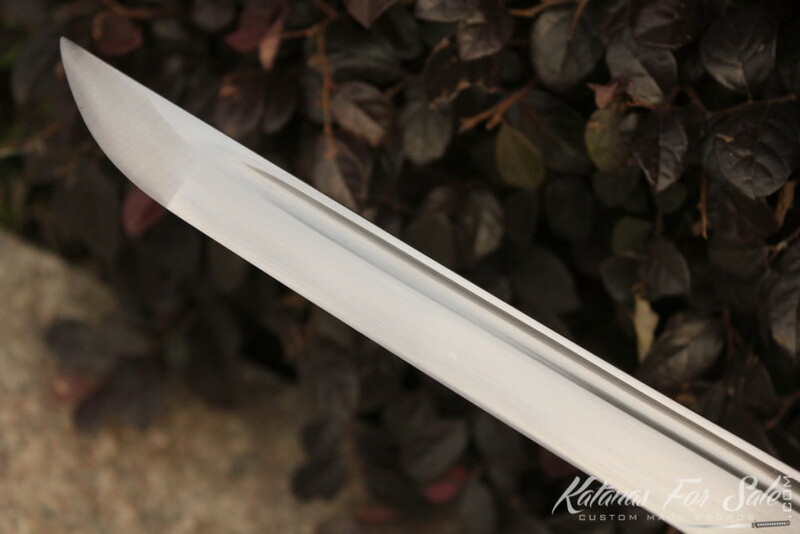 This mighty sword is spectacular to behold and would grace any collection. 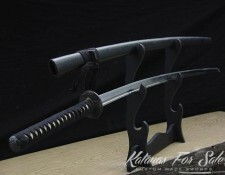 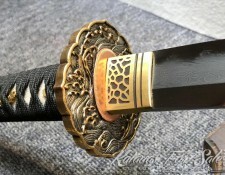 Blade: The blade of the sword has been made from 1060 carbon steel. 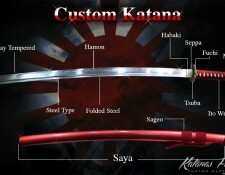 It has been constructed from through hardened 1060 carbon steel. 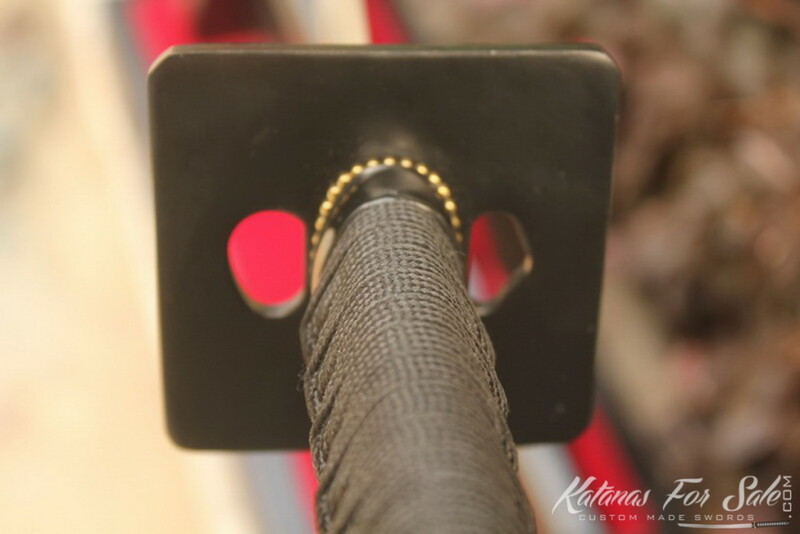 The blade features a single Bo-Hi (blood groove) for better balance and a audible feedback when the sword is swung. 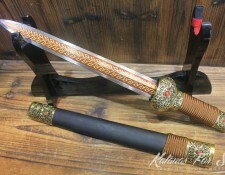 The sword has a massive tang to match the length of the blade. 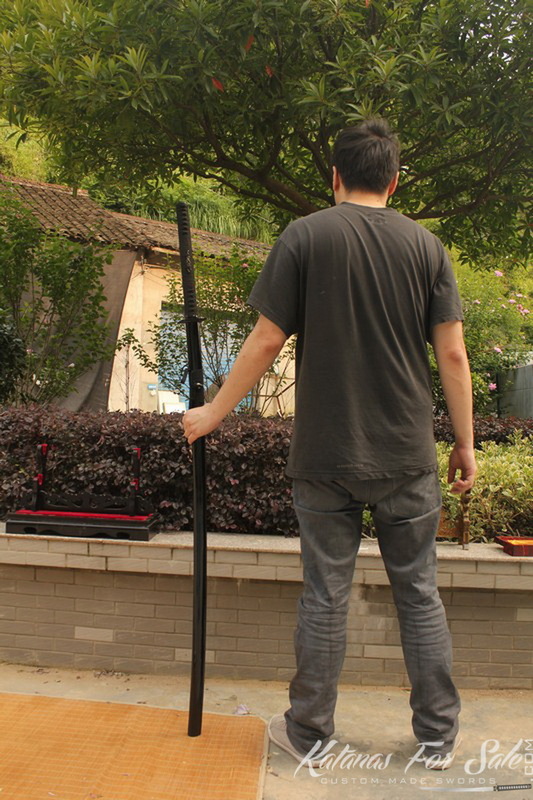 It can be disassembled for maintenance. 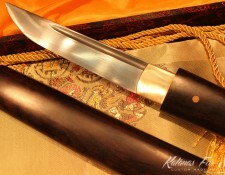 Blade is sharpened and suitable for target cutting (bamboo / tatami mats). 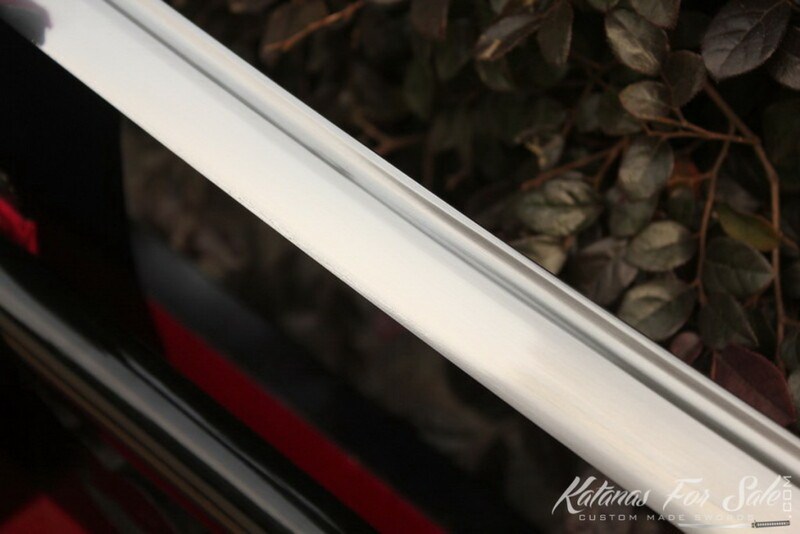 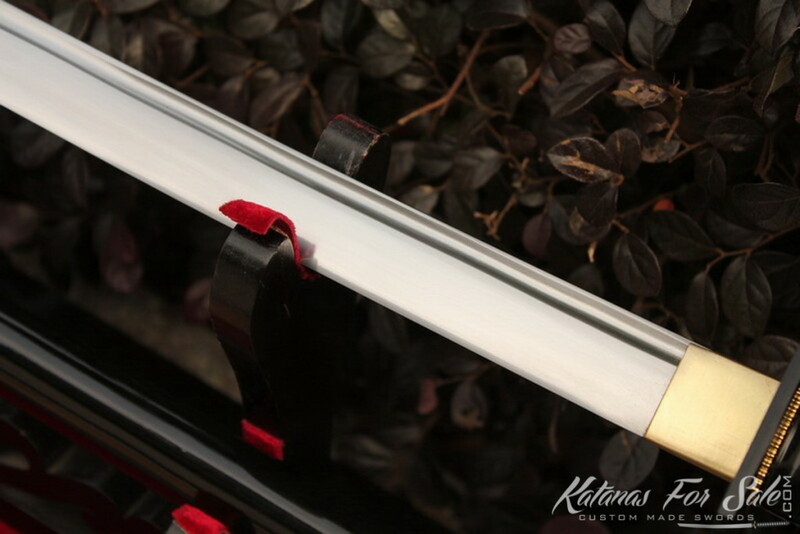 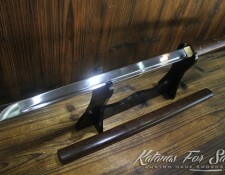 Scabbard: The scabbard of the sword is wooden with a high gloss black finish. 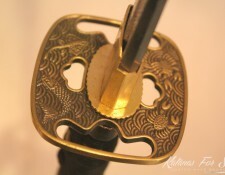 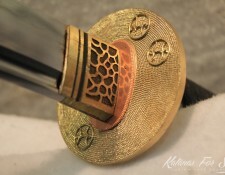 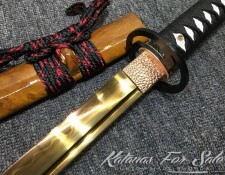 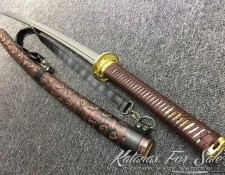 A black sageo has been tied around the brass kurigata of the scabbard. 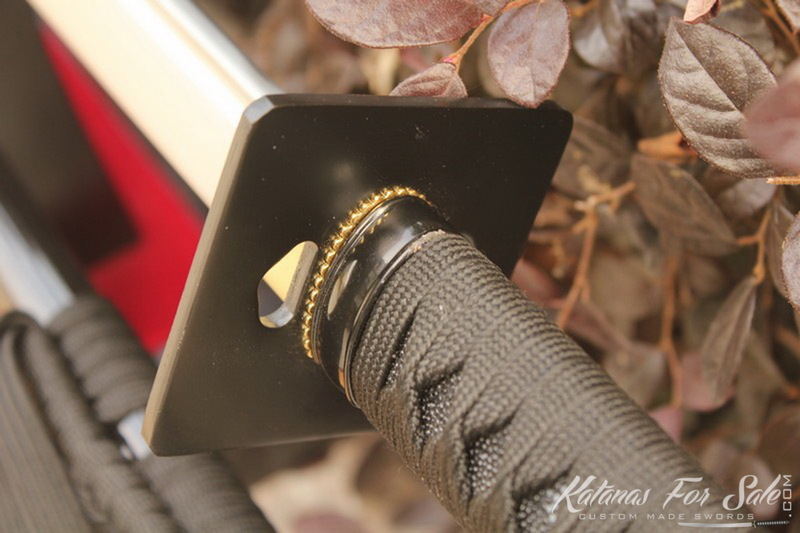 Guard: This is a black square tsuba made of iron. 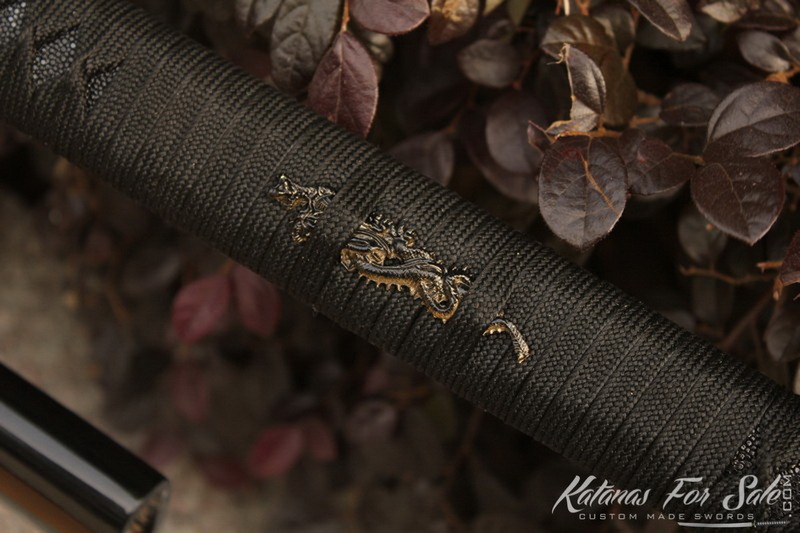 Handle: The fuchi Kashira (collar and end cap) are blackened patterned alloy with a plain simple finish. 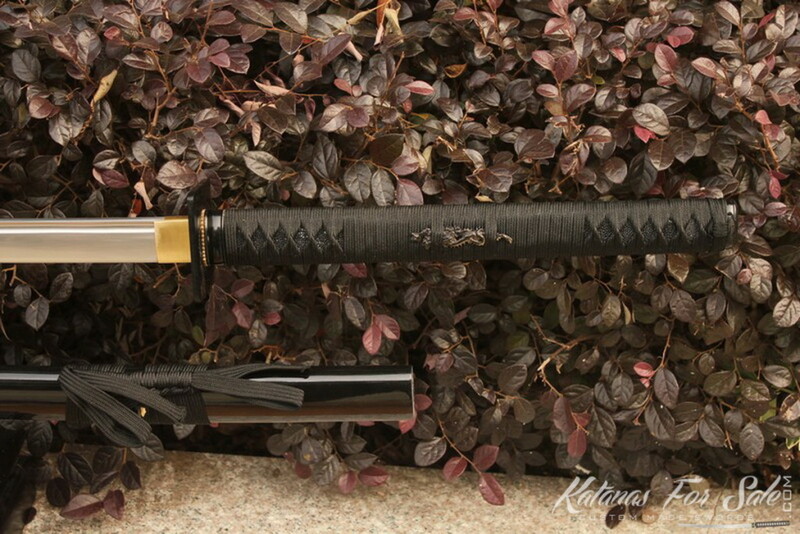 The ito wrap is black with tight alternating crossovers in katatemaki battle wrap style, over black samegawa. 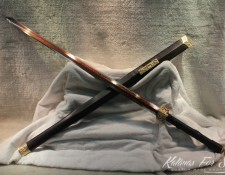 Two bamboo mekugi secure the tang of the sword into the tsuka.